As a newcomer to the theater, the star of HBO's hit(man) comedy gives a masterclass in acting when he's on and off the stage. Months before “Barry” debuted and the world got to know a bored hitman who finds his dream in a North Hollywood acting studio, Bill Hader wasn’t overly impressed with his work. “They’re both very hard,” Hader said when asked which was more difficult: acting badly for comedic effect or acting well in convincing fashion. He has to do both in the HBO series, portraying an actor who makes (many) on-stage mistakes while learning his trade and who goes to extreme ends of the emotional spectrum while living his life off-stage. Modesty in Hollywood can be refreshing, and Hader’s efforts to shift praise to his co-stars is admirable. He’s also answered the question many times with various explanations, including on “Conan,” but any diminishment of the Emmy-level work Hader put forth in “Barry” is unacceptable — even a half-joking shrug-off by the star himself. 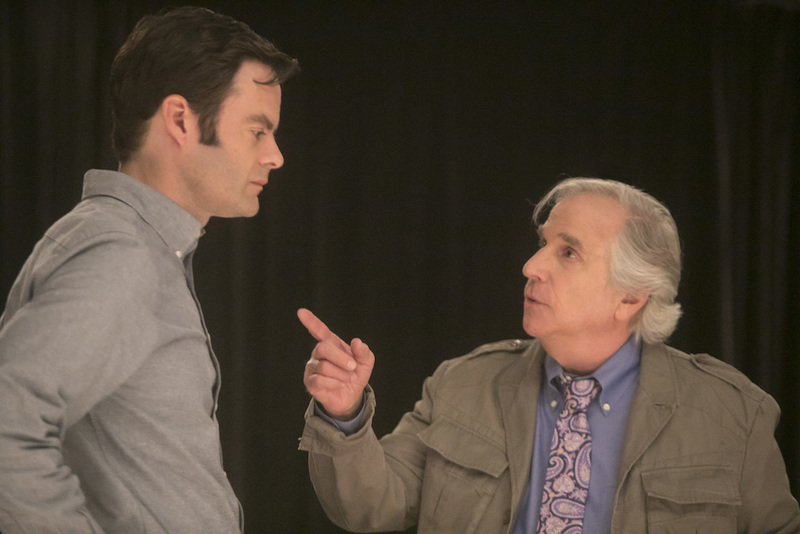 Sunday night, the eighth episode of “Barry” drew the curtain on its freshman year. Hader didn’t plum the depths of his conflicted character as turbulently as he had in the penultimate half-hour, but that’s only more cause to note his accomplishments. 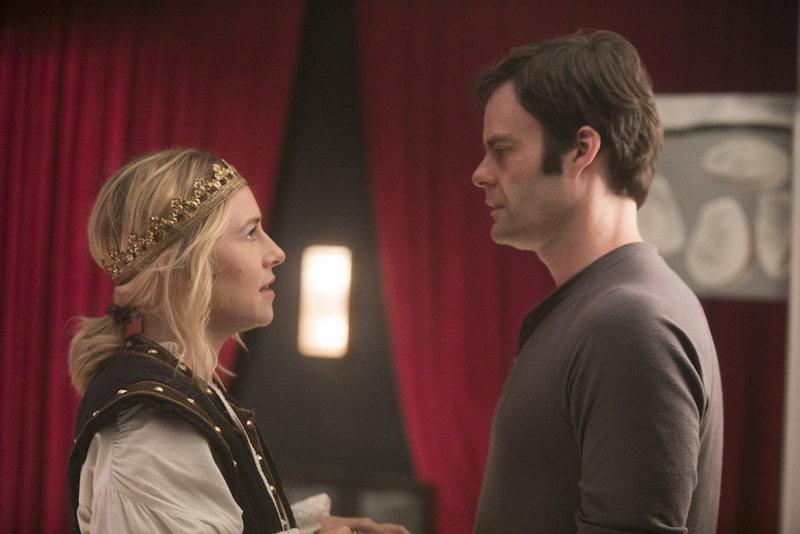 Much of what Hader did well — beyond well — this season wasn’t as evident as when he’s weeping in a Shakespeare costume or breaking a framed photograph with his fist. Hader’s character work is layered, and each sheet builds to a fully-realized man. That’s quite an achievement considering Alec Berg didn’t want to make the show at all when Hader first pitched it. (“I said, ‘What if I played a hitman?’ And Alec went, ‘Oof,'” Hader said with a laugh.) So, as a final adieu to his work, let’s look at how he turned Barry Berkman from an unwanted cliche into a uniquely compelling individual. Hader doesn’t just act — he dissects acting. As a beginner to the craft, Barry has to learn the basics of acting before he starts putting on plays. Season 1 breaks down many of the misconceptions about what acting is by putting Barry through the paces — and thus doing the same to Hader. From learning monologues to loosening up via acting exercises, Hader walks the walk of a novice actor learning things that the professional actor behind him clearly already knows. The comic timing of Barry learning about creating a reality for the audience — “What do you see up there on the shelves?” [deep breath] “Gum.” “Gum is at the register, Barry.” — is hilarious. He does everything wrong building the world, from choosing gum to claiming there is no soup on the shelves. Hader makes those choices for the purpose of educating Barry (and the audience), but he also plays him not just as oblivious, but defensive and closed-off. That allows the audience to sympathize with Barry, as his teacher and classmates jump all over him. Later, during a different scene, Barry is asked to tell Sally he loves her after the two have a romantic falling-out in real life. Even then, he can’t bring his real self into the scene until Gene breaks it down for him. Watching Hader go through the increasingly despondent stages of saying “I love you” to a woman who just broke his heart is equally heartbreaking. Hader understands the purpose and plays each level perfectly, which makes the resulting scene all the more powerful. These are the kind of vulnerabilities and challenges that face actors who strive to depict honest emotions. They’re not often discussed outside the room, but Hader has such a clear grasp on the purpose of each exercise — and thus each scene — that it makes for an authentic deconstruction of the man as well as his method of self-discovery. That dissection is for a dramatic purpose: so Barry can learn about himself. Though the external premise of “Barry” is quite clear — a hitman rethinking his life takes up acting as a means to save it — the character’s internal journey is much more profound. Acting isn’t merely an antithetical profession to his current job, it’s critical to Barry’s self-discovery.